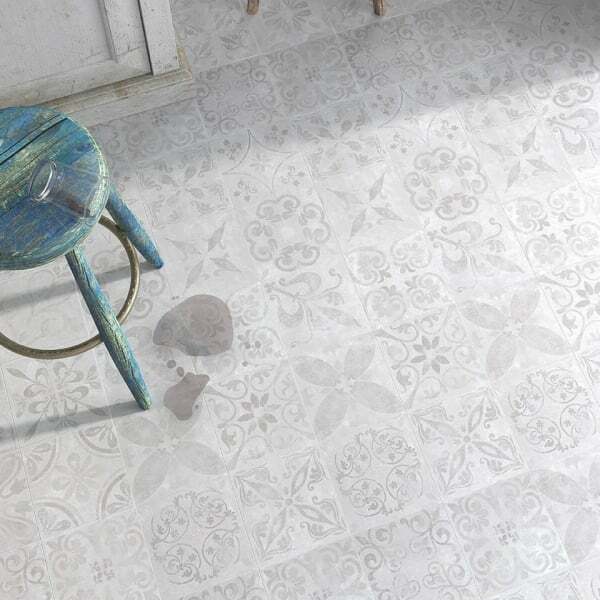 Executive Classical Art Deco Laminate 8mm replicates a natural tile look. With its beige tones and classic print pattern this is an extremely popular and modern laminate for use across residential and commercial applications. This product has been awarded an AC6 laminate rating branding it suitable for all residential applications and heavy commercial applications such as offices, cafes and boutiques. I had been looking for some flooring that would be hard wearing but not as cold as ceramic tiles for my country kitchen. This laminate is fab, lovely worn look to fit into my shabby chic scheme and is warm under foot.Lovely ! Just perfect and a lovely colour very like the colour on the website. Good and quick delivery of sample and the colour I was expecting. Will be ordering it soon. Love the tile pattern on this laminate. Samples arrived quickly as did the final order, very straight forward purchasing experience. Was so pleased with my sample ,not just becaue I liked it .it was the size I was able to get a good look at the pattern ,as it was so big .the quality was good to but being a woman it was the pattern I was more interested in.really quick delivery to now I can't Waite for my husband to measure up so we can order it . The sample arrived very promptly, and is exactly what we want.